First of all, tell you about those websites, we would like to tell you before, if you use online photo editor, then what are the benefits of this online photo editors "
Saving time .Friends, if you use online photo editor, you save a lot of time, because you do not have to download or install any software. You can go to the website and edit your photos only by uploading it. user friendliness: Online photo editors are designed to be easily accessible and user-friendly. You do not have to work hard to find your preferred filter or to get that perfect edited picture. You get it in an organized way in online editors. And there are so many benefits that you get in using online photo editors. 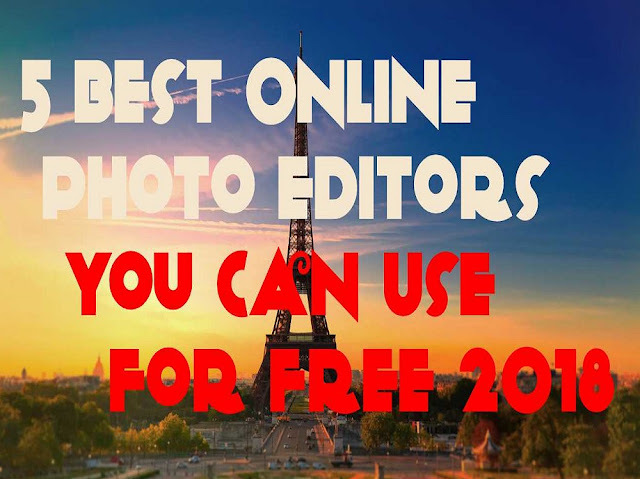 So let us now tell you about 5 online photo editor websites where you can edit photos online . PIXLR. If you want to edit every photo like online photoshop, then this website is the best website for you because here you will be able to edit the photos exactly like Photoshop. Online edit the photo. Photopea. If friends all of you use online photo editors, then this website is one of the best websites for you. This online photo editor will get you many features which you will love very much. You will also find a lot of filters and frames here, which will give your picture a charm as well as beauty. Befunky. This photo editing website is an effective website for editing a great photo. Here you can give a great look to the photo. It will be very much appreciated after editing the photo, so if you want to edit photos online, then you can use the website, you will love this website very much and you will also like the editing tools of this website. FreeOnlinePhotoEditor.com . If you are looking for a simple online photo editor, just like Microsoft Paint, this editor will love you very much because it is a basic online editor where you can edit any image online and here you will find some basic tools You can change the size of the image from which you can edit the image and use it just like a simple photo editor. I hope you all liked this article today if you have any suggestions or questions under it, then you can share it with the help of the comment box.